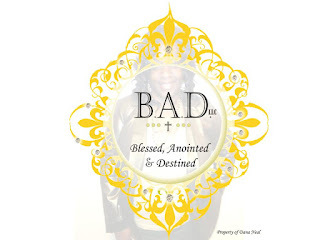 B.A.D Goals is the blessings and anointings to get to a certain destiny. 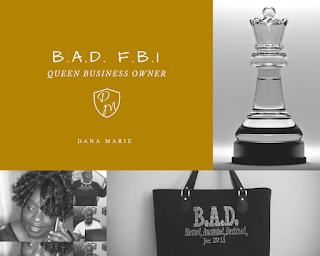 Today I will break down B.A.D. Goals and how to apply them in your life properly. When you are deciding what you want your results to be at the end of any day, week, month, look at what you want to make. Bounty is money, possessions, etc. What do you want financially? Do you want a new house, fix your car, etc. Make a note of what the bounty is and what you want it to be. Thank God for it now; that bounty is coming from God. Declare and decree that bounty as yours! The anointing in this, is the deep desire that God has given you to apply at this point. Set the goal, declare the bounty and aspire to get it. So here we are where the work needs to be done. Due diliegence is RESEARCHING what you need to do to get the work done and accomplish the goals. You can't just say it will happen or declare and decree it without putting in the work. You want to be a nurse? You can't walk in the hospital and just say BAM I'm a nurse. No, so do the research to accomplish what you need to accomplish. God bless you as you go forth in your goals!